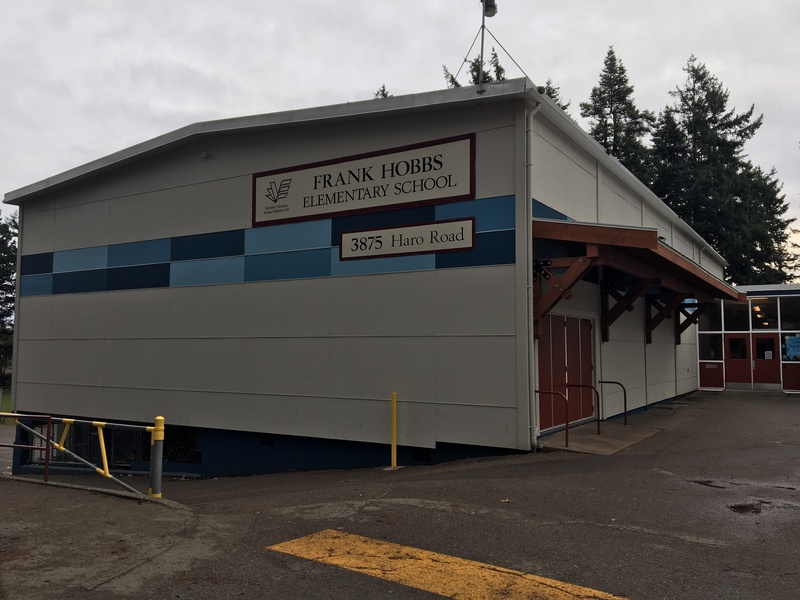 I was so happy to see the final exterior renovation of Frank Hobbs Elementary completed! 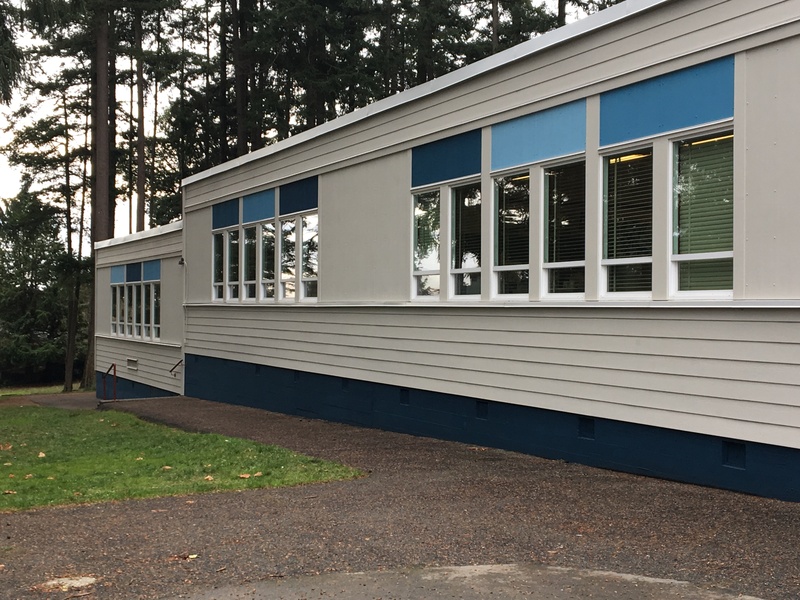 The renovation was completed earlier this fall, which included adding Hardie board panels and siding, new windows, a large cedar overhang on the gym, and a great paint job! 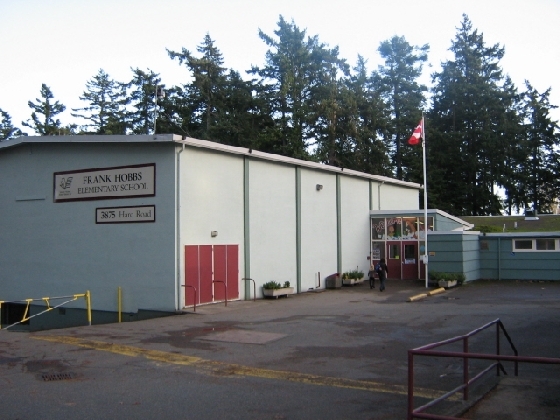 The fresh new colour palette I created, consisted of an overall warm grey main body with colourful bight blue accents, clean white trim, and warm red doors. 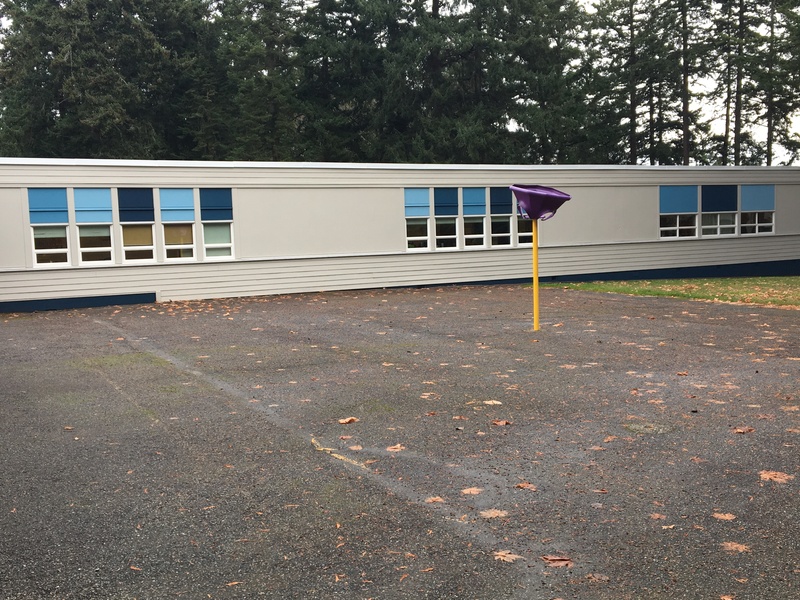 The school looks so crisp and updated from the 1960’s era stucco and siding. 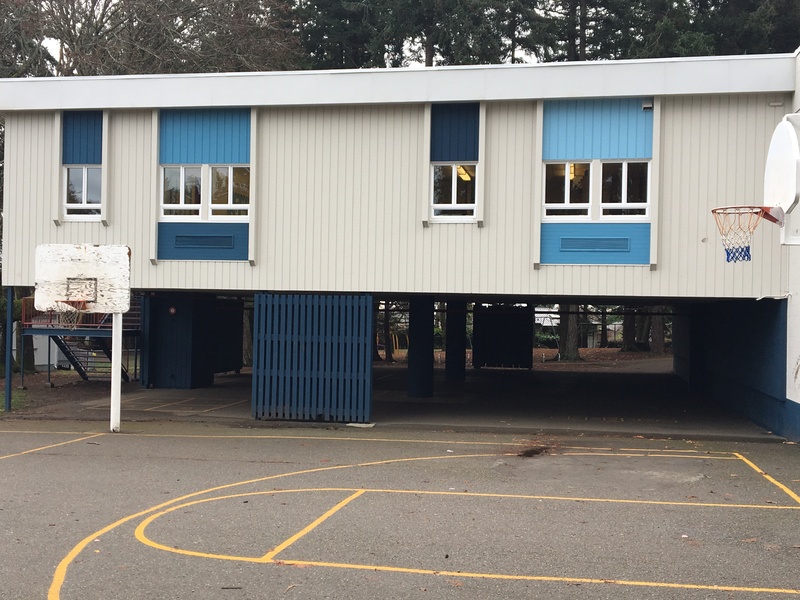 Thanks to Ross Walker, SD 61- project lead and coordinator for including me! Before-1960’s stucco in mint green!